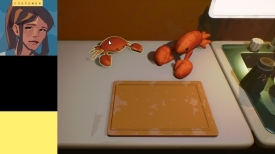 "A cooking simulation game where the menu must suit the customer"
Bring Home To Me is an interesting concept for a game where it plays something like a cookery game but uses a very interesting mechanic that there is no set menu to follow, the customers will tell you about their lives and memories and you must try and make them the perfect dish to remind them of home, as well as preparing the correct ingredients you must cook the meals to perfection to make sure that your customers are left happy and full and with memories of their homes and hometowns. 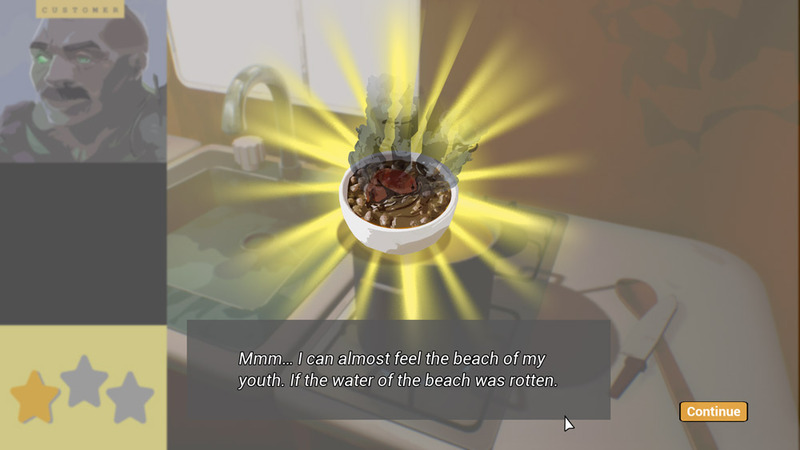 Bring Home To Me is a really good game in theory however it does have some issues which is a shame for such a good idea, but the controls at times can be very over sensitive which can make cooking quite difficult at times, such as trying to pan off the heat and having to click numerous times do it meaning you are at risk of burning the food. A very cool part to the game is that you need to extract how the customer wants their food cooked by their stories, for example if someone talks about memories of the beach it is likely they will want salt added to their meal. 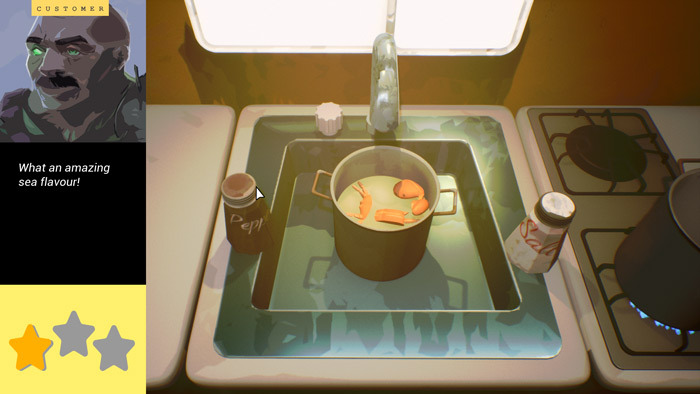 However there is not a huge amount of variation in ingredients and and the game certainly focuses more on the story than the cooking side of the game. You can download Bring Home To Me for free.